What’s CES if it isn’t accompanied with weird and random technologies to make the show floors even more interesting than it already is? 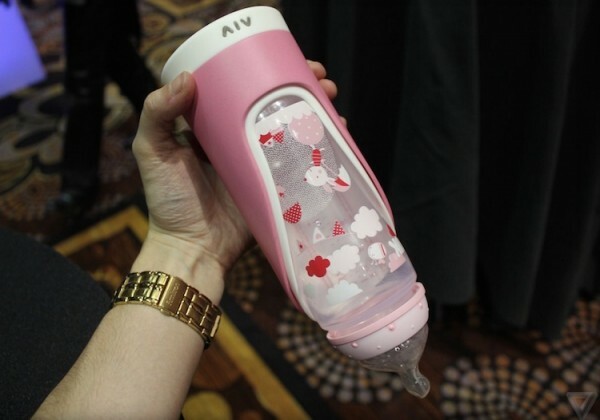 This time round, thanks to normal everyday products getting “smarter”, here’s a collection of weird and random things that are being showcased at day zero of CES 2015. Keeping a plant alive is not as easy as it looks, I’m ashamed to say that I’ve successfully killed all the plants I’ve ever put on my porch. 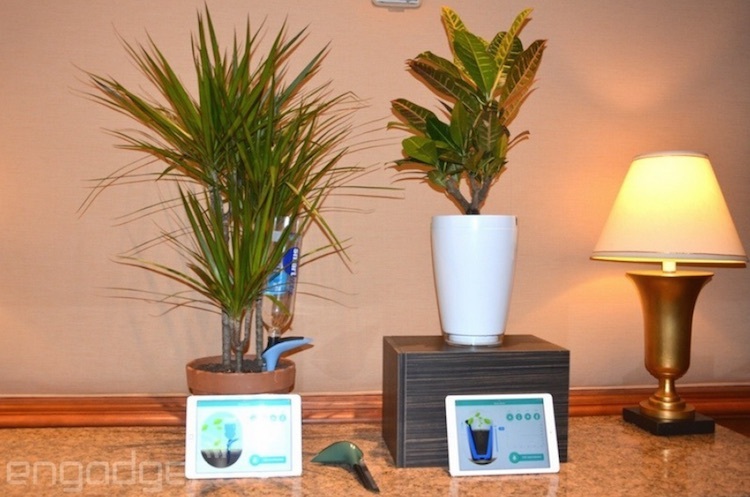 At CES 2015, Parrot announced two new products that wants to help those who does not have green fingers, keep their plants alive – the Parrot Pot and H20. Both of these features sensors that can keep track of the moisture, temperature, fertiliser in the soil, and the amount of sunlight your plant receives. Should your soil be too dry, they can also help water your plant. The H20 is just a device that you can stuff into the soil of your plant for it to do its magic and receives water from the bottle attached onto it while the Parrot Pot is a two-litre ceramic pot with a built-in water reservoir. You know how people say that we sit too much and exercise too little? The Tao Chair unveiled at CES 2015 wants you to workout while seated. It looks like a typical lounge chair, but is packed with sensors and features a design that makes it possible for you to exercise without ever leaving the seat. According to The Verge, you can do curls, presses and leg lifts, and you can track those activities using an accompanying app that will be available for iOS, Android and Windows Phone. What looks like a space ship with six antennas, and look like it’s about to fly away and take over the world? The D-Link AC3200 Ultra Wi-Fi Router of course. With support for the latest 802.11 protocols and speeds up to 3.2Gbps, the AC3200 is part of D-Link’s new Ultra Performance lineup of routers. In a world where everything is getting “smart”, say hello to Invoxia Triby, a smart fridge magnet that has wireless speaker and a 2.9” e-ink display on board. 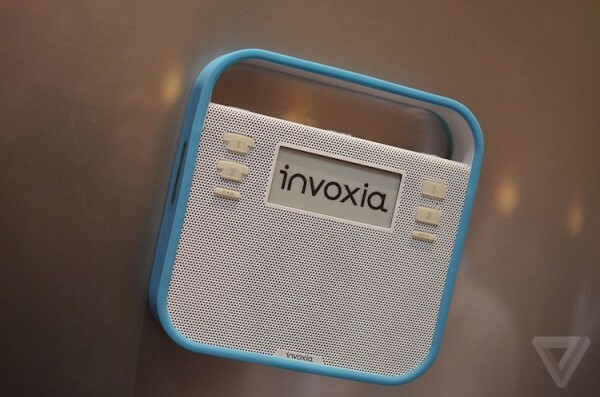 The Triby is actually a wireless speaker, but it is made to stick to your fridge and supports HD voice calls through the device’s companion app that is available for iOS and Android. With the app, you can stream your music to the Triby, or send your doodles to have it show on the built-in display. Taking care of a baby is not an easy task and Slow Control wants to help make things a little easier with a smart baby bottle called Baby Glgl (“glug glug”). The device has a built-in inclinometer that can calculate the weight and angle of the baby bottle, and then figure out the optimal degree of inclination of the bottle, preventing the baby from swallowing air bubbles hence, preventing colic, a new parent’s greatest enemy. Sure, there are plenty of anti-colic bottles out there, but what cooler than one with lights to signal whether you’re holding the bottle too low or too high, it should prevent choking too. 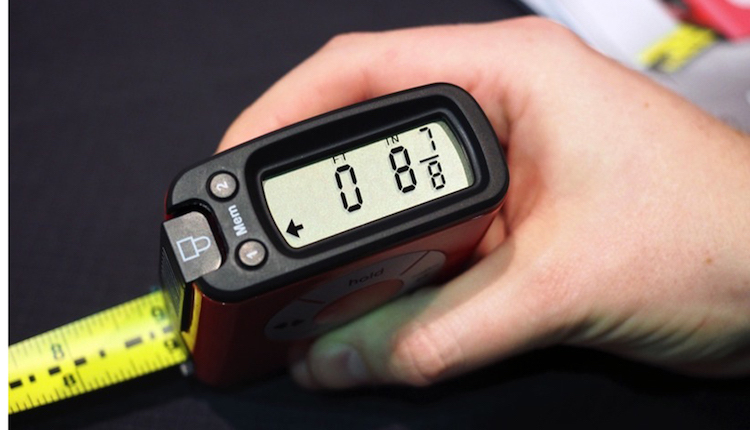 It looks like electronic tape measures are making a comeback, this time, equipped with smarter features to simplify your life. The E-Tape features a display that not only gives you the measurements you need in digital form, just tap a button and it will be able to convert the numbers to inches, centimetres, inches with decimal point, and distance in feet and inches – it can also memorize the things you’ve measured. E-Tape also features Bluetooth connectivity (optional) so you can wirelessly transmit the things you’ve measured to an accompanying smartphone app. 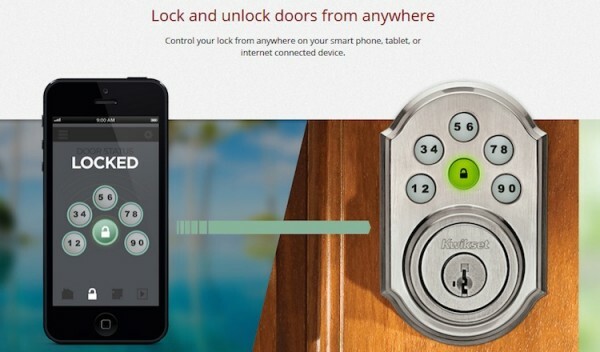 There are a handful of smartlocks for homes that allows you to use your smartphone to unlock your door but Kwikset has just announced the Kevo Plus that lets you remotely unlock your doors from anywhere in the world. Imagine if you’re out of town for an assignment and you need your parents to come and fee your pets and water your plants (if you can’t afford the Parrot H20 or Parrot Pot, that is), just tap a button on your smartphone and viola! Just make sure you don’t misplace your phone or accidently unlock it while your phone’s in your pockets. 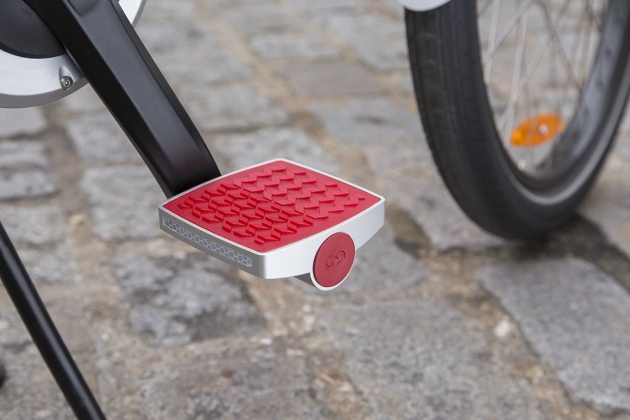 You don’t have to buy a whole new bicycle to get smart features, Connected Cycle is a pedal for bikes that can keep track of your fitness, as well as give you the location of your bike should it be stolen. What makes it great that since it’s supposed to fit onto a bicycle, it can receive energy from riding, the team says that one hour ride can keep it powered for a couple of weeks. As usual, you can keep track of your activity and your bike’s location via a companion app on your smartphone. Fever are usually just signs that you’re getting sick and your body is raising its temperature to fight off the bad bugs, but when a child has fever, it can be one of the scariest things faced by parents. Blue Spark Technologies unveiled the TempTraq at CES 2015 to make monitoring your child’s temperature a whole lot easier. It is basically an adhesive patch that goes on the armpit of a child, and sends temperature details to the parent’s phone. This means that the parent will then have a more accurate data of their child’s temperature and will come in especially handy when showing to the child’s doctor. Ever fumbled around your bag and even shopping bags to find your keys, when it has been buried deep in your pocket all the while? 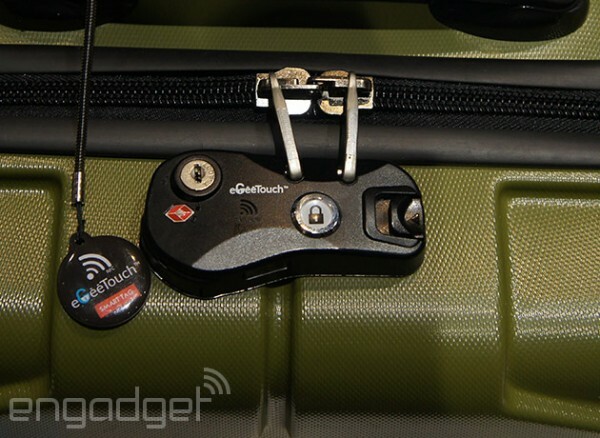 Egeetouch just announced a new smart lock that will eliminate the need of a key and the embarrassment of walking up to the last shop you were in to ask if you left your keys there. Using NFC connectivity, all you need to do is push the unlock button to activate the mechanism, swipe the included NC badge or your phone over the lock, and then slide the catch to unlock it. Egeetouch says that it should last about 30,000 cycles and if you run out of battery, there’s a USB port on the side that will give it a little power while you activate the lock to open it. There’s also a physical key but if you’re like me, you would’ve misplaced that the next day after you get the luggage. 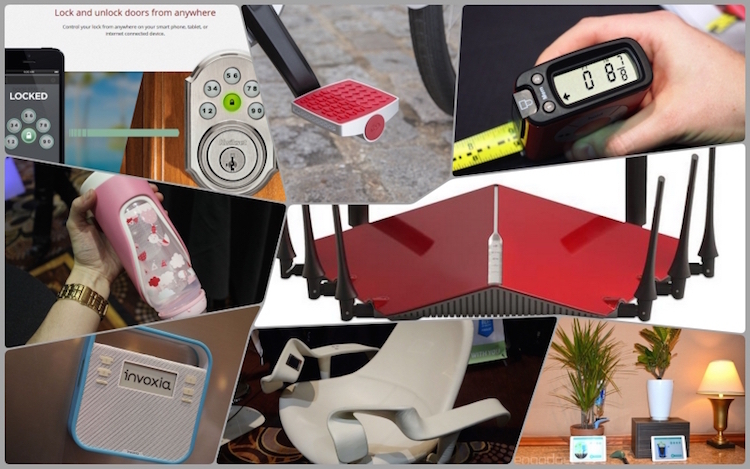 Seen a random gadget announcement in CES 2015? Share them with us!